It may have a new name, trophy and different sponsors schmoozing the corporate boxes but the basic principles of the rebranded European Rugby Champions Cup remain the same as ever - establishing yourselves as the best team in the continent. This season 20 teams will face off in the inaugural ERCC and as ever, some of the world's best players will be on show. Scrum Sevens picks out a group who have started the season quicker than you can say Davit Khinchagishvili. 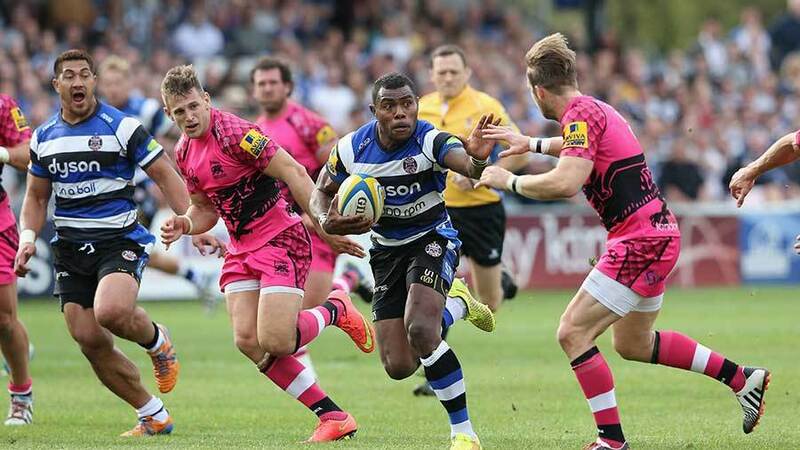 It was 72 minutes into Bath's loss to Wasps when Rokoduguni received the ball in his own 22 and with the deftest of sidesteps, left Masi leaden-footed and grasping at thin air. In the end, the moment of magic came to naught but it showcased why there is a growing clamour for him to be given a chance with England against the All Blacks on November 8. A soldier by trade, Rokoduguni's elevation has been rapid and startling. He has been in superb form this season, scoring four tries to date, and has also contributed to some of Bath's other tries as his trademark breaks and acceleration from the 22 leave the opposition baffled. While Stuart Lancaster may still be weighing up the pros and cons of bringing him into the England mix, a good showing against Glasgow on Saturday and Toulouse a week later for Bath will help his cause no end. While some places in Warren Gatland's Wales World Cup squad are tattooed in, the half-back spots are still up for grabs and Webb has done his claims no harm with the way he has started this season. He has been simply wonderful for the Ospreys and is working brilliantly in tandem with Dan Biggar. To date he has scored five tries for the Ospreys in the Guinness PRO12 and picked up the Man of the Match award for his performance against Cardiff Blues at the weekend, a performance which included the sneakiest of scores. He is the first cab in the rank at present for the Wales scrum-half berth but will need to impress over the next fortnight before attention switches to the November Tests. 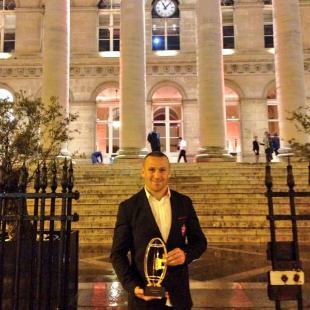 He was recently crowned Top 14 Player of the Year but it is doubtful whether he will have space for the award on what must be a burgeoning mantelpiece following his Heineken Cup and Top 14 double with Toulon last term. Such has been the level of Giteau's recent form in France, there have been calls from Down Under calling for the Wallabies to relax their policy of not picking those based overseas. But back to those matters in his control, he has been fantastic at Toulon and is likely to continue that level of form in the Champions Cup. Good performances are expected of Manoa. At the weekend he scored a hat-trick for Northampton but was still overlooked for the Man of the Match gong with it going to the carnage-inducing winger Ken Pisi. Last season, for second-rows, Manoa scored the most tries in the Premiership (six), carried the most (158) and made the most metres (385). While the English game is getting excited about the arrival of Sam Burgess and the potential make-up of Bath's back-row, Northampton have just as much firepower in their pack. Jim Mallinder has the welcome headache of juggling Manoa, Tom Wood, Phil Dowson, Jon Fisher and Calum Clark in the back-row while the American is also happy playing in the locks. Leinster have not been at their best this season, but Madigan offers a sprinkling of the magic dust in their backline. There is a sense they are waiting for the Lord Mayor's Show when Johnny Sexton returns next season but such is the level of expectation in Dublin, the pressure is on Matt O'Connor and the players to deliver this season. Madigan seems to have been the coming man in Irish rugby for a while but he has started this season well as he flits between fullback, inside centre and fly-half. He started at No.10 at the weekend against Zebre and marked the performance with a try, his third of the season. 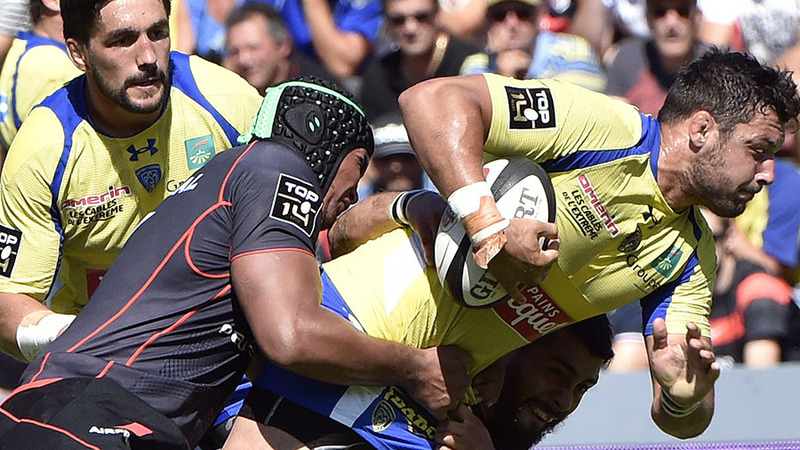 After getting thrashed by Bordeaux-Begles in round eight of the Top 14, Clermont are back at the summit thanks to their win over La Rochelle and no one is playing better than their captain Damien Chouly. In last year's Heineken Cup Clermont experienced their nadir when they were unceremoniously dispatched by Saracens 46-6 at the semi-final stage. While they find their feet under their new coach Jonno Gibbes, Chouly has been one of his go-to men and it is testament that he was named their skipper for this season. While Clermont are renowned for the lethal finishing power in their backs, Chouly and co. in the pack will be worth keeping an eye on. While Australian rugby is grotesquely crumbling in front of Antipodean eyes, one of their own is flourishing in the Top 14 in his debut season. Ben Mowen, who skippered the Wallabies at times under Ewen McKenzie, has started life at Montpellier like the proverbial duck taking to water. He has helped plug the sizeable berth left by the now Toulon back-row Mamuka Gorgodze and has also chipped in with three tries. Mowen's rationale behind turning his back on the Wallabies and the World Cup for Montpellier was to spend more time with his family. He is loving life so much in the Top 14 he has already expressed his wish to stay longer.